Pakistani Passport Holders can travel 33 Countries around the world.Some countries not required visa for entry but some countries issue visa arrival when you go another you will issue the Entry by the Immigration Officers and during Interview on Airport. 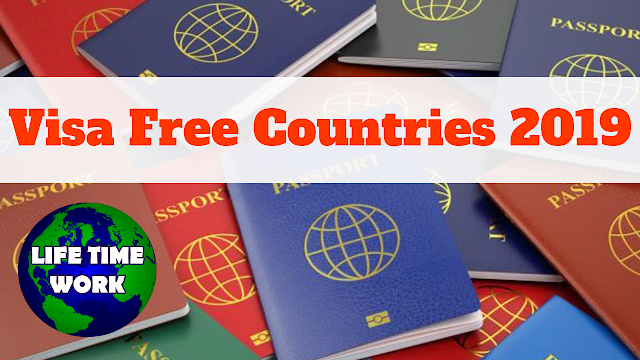 This Updates is News by Media and also Updates from the Official from International Index and they issue the List of Countries can travel to another countries without visa and evisa and visa on arrival. Today I would like to Recommend you some Countries about Pakistan. Qatar Issue 30 Days entry visa for Pakistani nationals and also can Pakistani passport holders Travel to Qatar for Tourism.it is Great Time to explore those countries who give us free visa for tourist visit and Expend the information around world. Bolivia is one of the beautiful country in south america and Bolivia giving Visa on arrival for Pakistani Passport Holders.before travel to Bolivia you need to confirm all the information about the on arrival requirements because lots of Pakistani and Indians travel to Bolivia every year for tourism.Bolivia one of nice country to start Business over there and also can get Bolivia Permit Resident easily! Kenya allow to travel on arrival visa and evisa and also can get visa from embassy with sticker and that is great opportunity for Pakistani to travel to Kenya and explore the nation of Kenya and made good connections between Kenya and Pakistan and also promote the Business and also explore the beautiful beaches for tourism and spend some amazing memories.every year thousands of travelers come from different countries for tourism and also spend holidays in Kenya and Kenya one of the beautiful real place for travel. Trinidad and Tobago beautiful country for tourism and spend small important time in beautiful natural places because that places is historical places for tourism and explore your some information about that nation.I would like to Recommend every Pakistani to visit Trinidad and Tobago for Tourism and also can settlement opportunity.